This is the sort of intelligent, understated design that I adore. 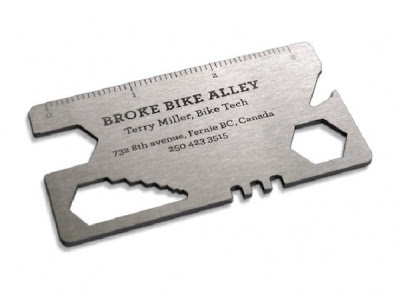 A great business card in the form of a multifunctional bike tool, by Rethink! for Broke Bike Alley. Congrats, nice to hear that you're making some really nice ground.